Your Nickel's Worth: Get Rid of Face Warts But Beware of That Scar! 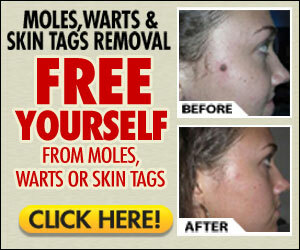 Get Rid of Face Warts But Beware of That Scar! Warts on the face are small, rough and raised bumps on the face. They are both quite common and harmless. The only problem usually relates to aesthetic reasons. It is a fact that no one likes to have these 'horrible creatures' on one's face. The warts on the face have a tendency to group in clusters. Sometimes these clusters may grow up to 100 warts, but usually the clusters are much smaller. They are generally of two types: flat warts or common warts. Children have the tendency to have more warts on the face than other individuals. This may be in part because their immune system is less strong than that of adults. The immune system helps to fight viruses and bacteria. Facial warts are in fact a viral infection caused by the human papilloma virus or HPV. The HPV is contagious and enters from cuts or scratches in the skin. You can get rid of face warts by various methods. They range from surgical procedures, over the counter treatments and home treatments. Surgical procedures such as cryosurgery, laser therapy and electosurgery need to be done by a professional physician. They are quite painful and the healing process may take some time. You may also have to go for more than one visit to treat the same wart. Further more they may leave a scar. This is a very negative aspect. Remember that you are treating the face and any scar left is as ugly as the removed wart, and it is very noticeable! Because of these and other problems, it is debatable if such wart removal methods are practical to treat children. Other types of treatments involve over the counter medicine such as creams, and gels. There are also various home treatments such as using duct tape, garlic, vinegar and other home methods that have been used for many years. At all times keep it always in mind that here you are treating the face. Some of the over the counter and home wart removal methods may be quite acidic and may leave a scar. Although they may be adequate to treat other type of warts such as foot warts, they may not be adequate to treat the face. A little scar under your foot is seldom visible. It is a very different story if you have a scar or scars on your face. Be well informed about any method you use and its side effects. If you are in doubt seek a second opinion. Do not leave anything to chance. Remember that although you can get rid of face warts by various methods, remember also that the large majority of warts on the face will go away by themselves, although this may take several months or a few years.